Helena Jans is a maid, living in Amsterdam in the 17th century. She is employed by Mr Sergeant, an English bookseller who is a far kinder employer than Helena expected, particularly considering that she is able to write. This is a skill far above her station, but it is also the thing which makes Helena interesting to Mr Sergeant and therefore begins her adventure. Helena prepares the guest quarters for an important lodger, the philosopher Rene Descartes, whose presence at the bookseller's house causes a stir. Along with his valet, known as Limousin, Descartes disrupts life at Helena's home and changes her life forever. Determined to master the quill, Helena has been practising, using ink made from beetroots and paper made of whatever she can find-- thinly baked pastry, the tabletop and even her own skin. Naturally, Helena and Descartes are fascinated by one another, or else this wouldn't be much of a story. As with most narratives of this kind, the ending is dictated by what really happened, and while the novel was no fairy tale, I was quite satisfied by the conclusion that was given to Helena-- for it was her story that really mattered, and her voice being restored. 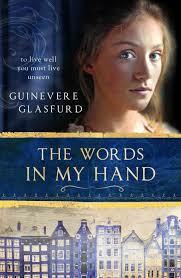 For me, this book was like The Miniaturist meets The Other Boleyn Girl. It was a novel of many layers, and the deeper the reader cares to think about it, the more they will get out of it.